If you are looking for a luxury SUV with real off-road capabilities, the 2017 Dodge Durango in the vehicle for you. This full-size SUV has plenty of space for passengers and cargo alike. It is filled to the brim with safety, comfort, and advanced technology. The unparalleled towing capacity provided by this striking SUV makes it a truly versatile vehicle. No matter what the destination may be, you can transport your family surrounded by luxury in the 2017 Dodge Durango. Cassens and Sons Chrysler Dodge Jeep Ram is the go-to dealership to find a 2017 Dodge Durango for sale in Glen Carbon, IL. Our professional and experienced staff is ready to show you our 2017 Dodge Durango inventory in Edwardsville, IL and the surrounding areas of Belleville, IL, and Florissant, MO, so make the short drive and visit our dealership today. 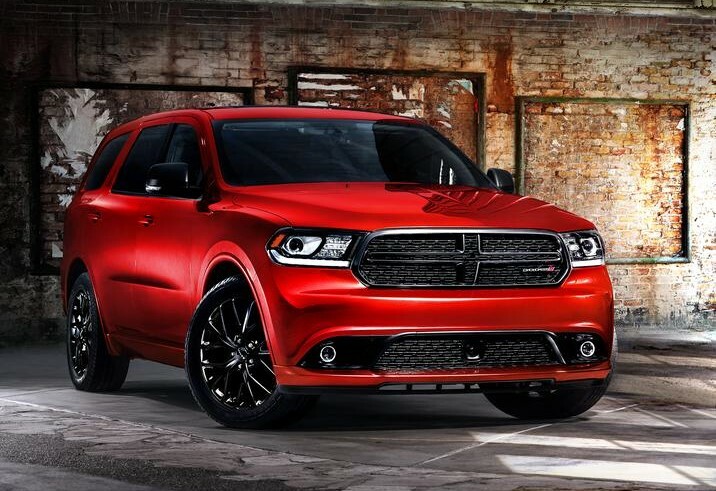 Please inquire about our specials when you come in to test drive a 2017 Dodge Durango in Florissant, MO. We have a large selection of new vehicle models and used vehicles in Glen Carbon, IL. We look forward to seeing you soon! 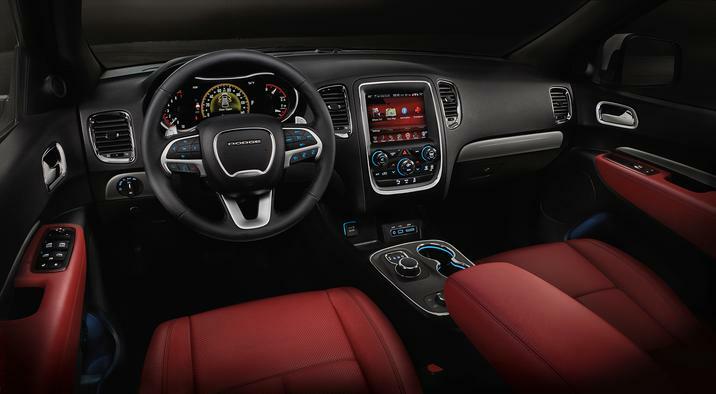 The 2017 Dodge Durango in Glen Carbon, IL comes very well equipped with fine standard features such as power windows and power locks, a 7-inch driver information digital cluster with 5-inch touch screen display, tinted glass, and remote keyless entry. If you would like to further customize your SUV, you can select from a treasure trove of optional features such as heated first and second row seats, a rear DVD entertainment center and black roof rails. No matter how you slice it, the 2017 Dodge Durango is the luxury ride your family deserves. If you want power and you want efficiency out of your SUV, the 2017 Dodge Durango gives you plenty of both. 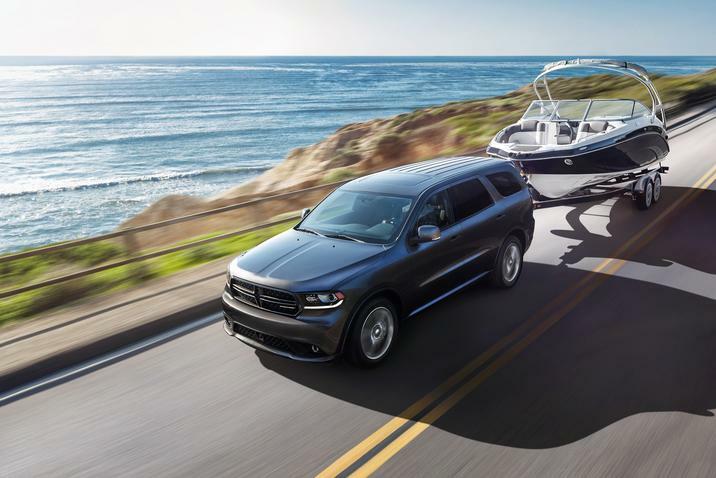 The Durango is available with two engines. The standard engine is the award winning 3.6-liter Pentastar® V6. This engine delivers 295 horsepower and up to 260 lb-ft of torque. The standard 8-speed automatic transmission gives you great fuel economy. Available is the 5.7-liter V8 HEMI® with Variable Valve Timing (VVT) and Fuel Saver Technology. This powerful engine delivers up to 360 horsepower and 390 lb-ft of torque, and gives you maximum towing capacity of 7,400 pounds. Tow a trailer? No problem! The Durango has Electronic Stability Control, which works with steering and vehicle motion to control braking and the throttle, keeping the vehicle in good control. The experienced team at Cassens and Sons Chrysler Dodge Jeep Ram is ready to guide you to the 2017 Dodge Durango equipped with the features that best fit your lifestyle.